Mech games, I miss them immensely. Good mech games, I should say. You know, the ones for consoles of yesteryear that you used to pour hours upon hours into. MechWarrior, man, MechWarrior. 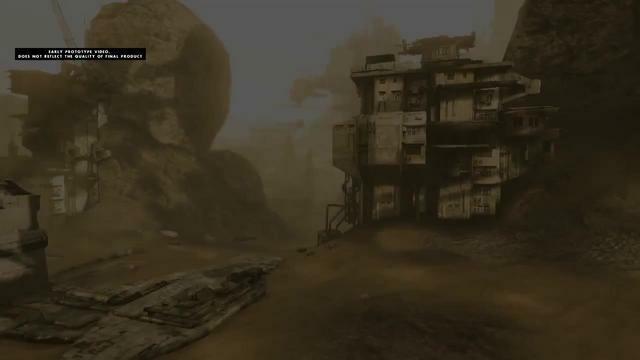 Seeing this new breed of mech combat game with Hawken should get genre fans like me all sorts of giddy with excitement. The title from Adhesive Games, and indy studio that's actually spent roughly a year on the project so far, is a first person mech combat game. Hawken looks visceral, loud, realistic, robotic, frenetic and fun. The gameplay trailer above reinforces those tropes and totems as we're shown three minutes of real, in-game footage of a project that isn't even close to ready. With that in mind, it looks great. The video notes that the footage is from 11 months worth of development time. The studio has actually spent more time on the game, as the official blog indicates, but this clip was created a few months back. We clock development time in and around a year, give or take a few months. Hawken is not currently set for one particular platform through one particular publisher. The studio would like to release the title for the PC, Xbox 360 and PlayStation 3. When it's coming exactly, and to what devices, is still to be decided. The team will go silent for a while after this clip, but will bring more news once it surfaces.